Authors: Bronzino L.Y., Adama Abdul -. 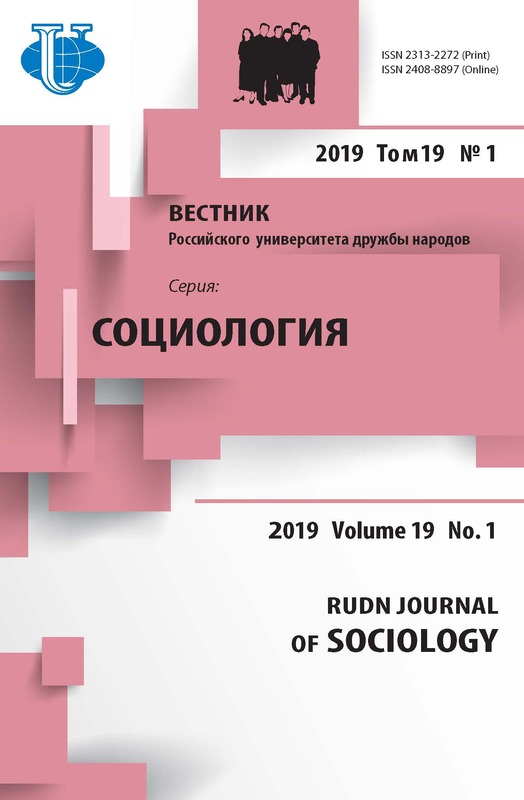 The identity questions have become one of the leading topics in the contemporary social science due to the emergence of a number of problems that complicate self-identification processes in the (post) modern society. The new status of the modernity - ‘fluid’ - has led to the fact that identity as a result of membership in a social group lost its static nature: everyday every individual has to take responsibility to choose his life direction and, respectively, to change his identification as a member of a specific community. Globalization has also changed the process of ethnic identity formation, which, on the one hand, turns into a protest aiming at preserving one’s uniqueness in a globalizing world; on the other hand, ethnic identity is a result of the already accomplished globalization revealing all its transformations. Thus, aggravation of interethnic conflicts related to the identity issues is most common in multiethnic societies. The article presents the results of the empirical research of the ethnic identity of young people in Chad. The interviews conducted by the author revealed the leading type of ethnic identity among young people in Chad and its specific features in new life conditions. identification, ethnic identity, youth, Republic of Chad, Africa, ethnic group, ethnicity, globalization. Bronzino L.Ju., Vol'china A.E. Adaptacija studentov k universitetskoj srede: opyt social'no-fenomenologicheskogo issledovanija // Vestnik RUDN. 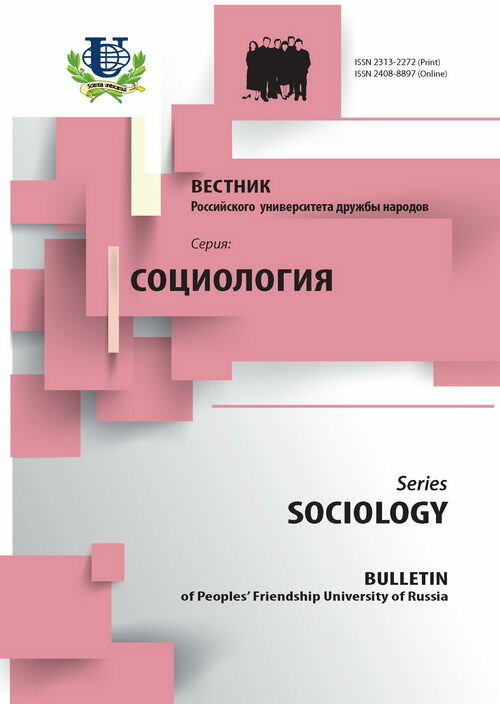 Serija «Sociologija». 2012. № 4. Gurieva S.D. Semejnye cennosti i jetnicheskaja identichnost' v raznyh pokolenijah // Panorama Evrazii. 2012. № 2. Stefanenko T.G. Jetnopsihologija. M.: Institut psihologii RAN, «Akademicheskij proekt», 1999. Cazelles M. Géopolitique du désert: le cas du Tchad // Université Panthé on-Assas - Paris II, 2010. Chad Ethnic groups. URL: http://www.indexmundi.com/chad/ethnic_groups.html. Dumont G.-F. La géopolitique des populations du Sahel // La revue geopolitique. Le 7 avril. 2010. URL: http://www.diploweb.com/La-geopolitique-des-populations-du.html. Ferret C. L’identité, une question de définition // Cahier d’Asie Central. 2011. 19-20. URL: http://asiecentrale.revues.org/1516. Magrin G. Le Sud du Tchad en mutation. Des champs de coton aux sirènes de l'or noir. Cirad, Sépia , 2001. Tchad Agence de Coopération et de Recherche pour le Développement. URL: http://www.acordinternational.org/acord/fr/acord/fr/nos-actions/zones/tchad. The World Factbook. URL: https://www.cia.gov/library/publications/the-world-factbook/ geos/cd.html.